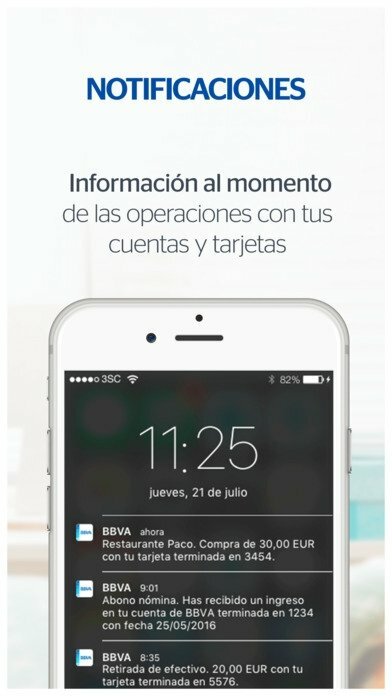 The Spanish bank BBVA is yet another banking entity with presence on mobile devices thanks to one of the most powerful personal banking applications available on the App Store. With a very clear and intuitive design, you'll only need a few screen taps to carry out all your main transactions in a simple and intuitive manner. 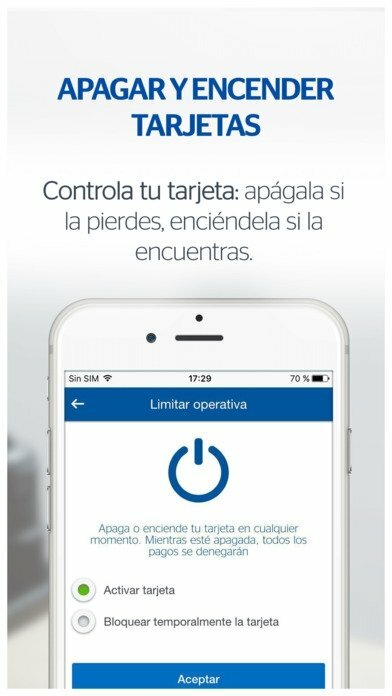 Forget about long queues in your local branch and install this app for free. 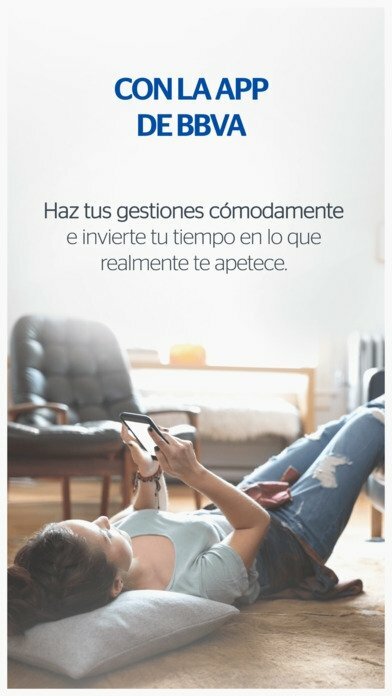 Because BBVA has gone a step further: you'll only need your ID and a selfie to create an account without commissions and a credit card without fees. Therefore, there's no excuse. Once you're a client, you only need to type in your ID and PIN number. Furthermore, for certain transactions, you can get hold of an additional security layer by means of the delivery of an SMS with your key. 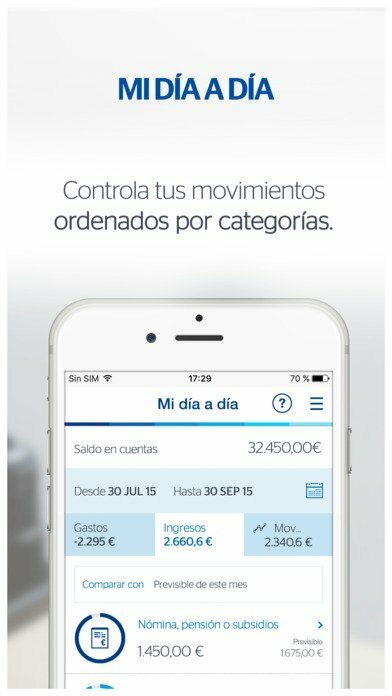 No need to put a foot in a physical bank ever again thanks to BBVA Spain. 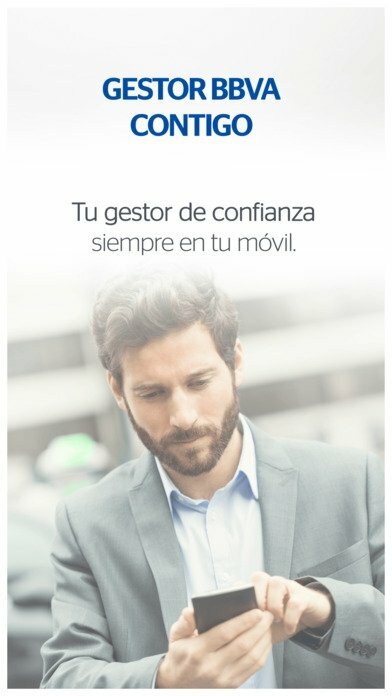 Become a BBVA client in an easy and fast manner. Send and receive money to and from individuals thanks to Bizum. Check all your movements, expenses and income. 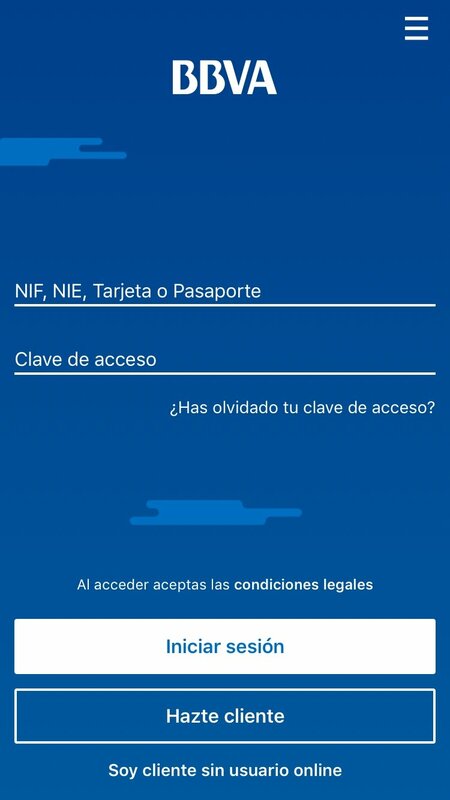 Sign remotely with full legal guarantees. Pay your bills, via direct debit or not. Arrange an appointment with your personal manager. Request foreign currency for your travels. Access the app from your smartwatch. Unfortunately, Apple Pay hasn't been implemented yet. This is definitely one of its most useful functions. That moment at which you find out that you've lost or had your wallet stolen with all your cards inside. Never had it been so easy to deactivate a card. You can also limit the payments allowed.